Interested in working for a mindfulness clinic? We’re looking! Interested in working in a mindful environment? 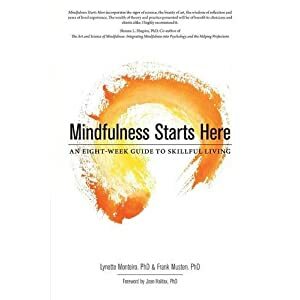 Want to learn more about mindfulness and support those who do? We’re looking for someone who can be supportive, compassionate, and disciplined in their work with others. The Ottawa Mindfulness Clinic (OMC) & Sea Glass Psychological Services (SGPS) are two aspects mental health services provided through a mindfulness-based treatment centre and the private practices of Drs. Lynette Monteiro and Frank Musten, Psychologists, and clinical associates. The group of professionals practising together under the umbrella of the OMC forms a cooperative delivering mental health services through mindfulness-based programs. The OMC conducts at least fifteen 8-week mindfulness programs annually along with retreats and workshops. Sea Glass PS is comprised of the private practice psychological services of Drs. Frank Musten and Lynette Monteiro, offering individual psychotherapy and personnel selection services for various security organizations. Administrative services, while primarily dedicated to the activities of the OMC, occasionally involves some aspects of the SGPS such as scoring tests or setting up for assessments. This is a contract position based on an hourly rate for 15 hours per week with employee benefits (CPP, EI). There is a six month probation period to ensure a good fit with the organization. All listed duties are open to change based on the growing needs of the OMC and/or SPGS. Applicants should have an interest in mindfulness and open to working in an environment that fosters a mindful approach to interactions. They should have experience and be comfortable working with current technology. Experience with Word, Excel, templates, online set up of event registration, email protocols, cloud-based data storage and retrieval, and standard filing. This position is best-suited for someone with matured interpersonal skills, seeking part-time employment, is retired or semi-retired, and with a flexible availability for occasional evening or weekend duties. If you believe you have these attributes and enjoy working in a dynamic and encouraging setting, please forward you resume to our address below or via email (mindful [at] ottawamindfulnessclinic.com – insert @ for [a]) with the subject header “ADMIN APPLICATION”. Cover letter should include direct experience with software and programs mentioned in the above job description and a statement of expected salary range. Please note that due to the volume of calls we receive regarding the clinic programs, we cannot respond to phone inquiries about this position. You may email us or submit your resume with cover letter. Previous Are you weaponizing your mindfulness skills?